Set to make its official premiere at Detroit next month, the new 2015 Mini Cooper John Cooper Works (JCW) has just been unveiled online. Power will come from an all-new 2.0-liter turbocharged four that’ll pump out 228 horsepower and 236 lb-ft of torque. Compared to its immediate JCW predecessor, which came with a turbo 1.6-liter four, output has been increased by 20hp and 29 lb-ft. The new JCW, though it shares the same engine with the current Cooper S, has an additional 39 hp and 25 lb-ft. Buyers can choose between a standard six-speed manual and optional six-speed automatic with paddle shifters. 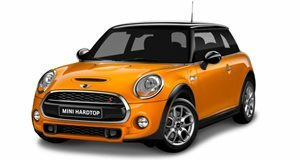 If you opt for the latter, then 0-62 mph will happen in 6.1 seconds (6.3 for the manual), which is 0.7 seconds faster than the Cooper S. Top speed is 153 mph. No mechanical limited-slip diff is offered, but the JCW does feature an electronic differential lock control to help keep it planted on the road. 17-inch alloy wheels are standard fare while some beefier 18-inchers are optional, while the brakes were designed in collaboration with Brembo and are a JCW exclusive. 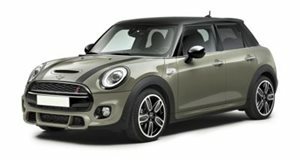 The exterior, when compared to the Cooper S, boasts a unique front grille with larger air intakes and LED headlights. Front and rear bumpers are also new as are the exhaust outlets. All told, the new Mini JCW tips the scales at about 2,656 lbs. Needless to say, there are plenty of John Cooper Works badges both inside and out. A leather-wrapped three-spoke steering wheel and gearshifter are standard as are stainless-steel pedals, and red highlights on the seats and center console. An 8.8-inch navigation screen is another highlight, now coming with a built-in SIM card for internet connectivity. Sales are expected to begin in 2015 and an official price tag will be announced at a later date.